Student profile pages require the reader to turn the page vertically to disrupt the expected progression of the book. 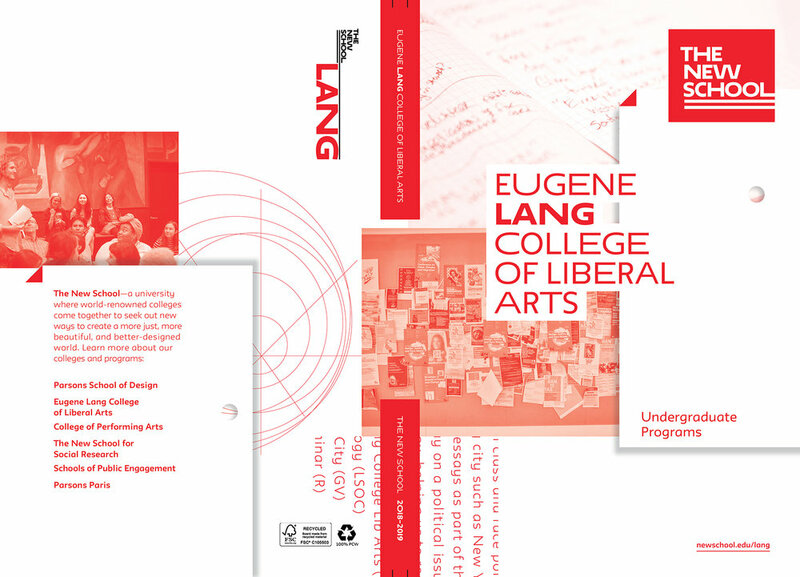 Viewbook for prospective students for Eugene Lang College of Liberal Arts at The New School. Redesigned, researched, and worked collaboratively with client, project management, strategy, and editorial at every stage of production. This project was singled out as a design and process stand-out success among the 14 books produced for the 2018-19 academic recruitment season.